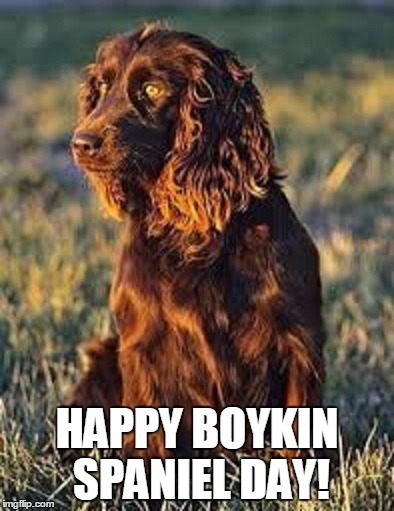 September 1 is Boykin Spaniel Day in South Carolina. It’s also the first day of dove season in South Carolina. google has turned up a lot of people sharing this video, but very little explanation. Is this something people really do, or is this just a fake? I wonder if that’s from Africa Addio, an Italian film, that had tons of staged “savage” hunting scenes in it. A beautiful dog that is being used in wildlife conservation activities as well. on September 2, 2015 at 3:16 pm M.R.S. possible that both have much the same ancestry. ).